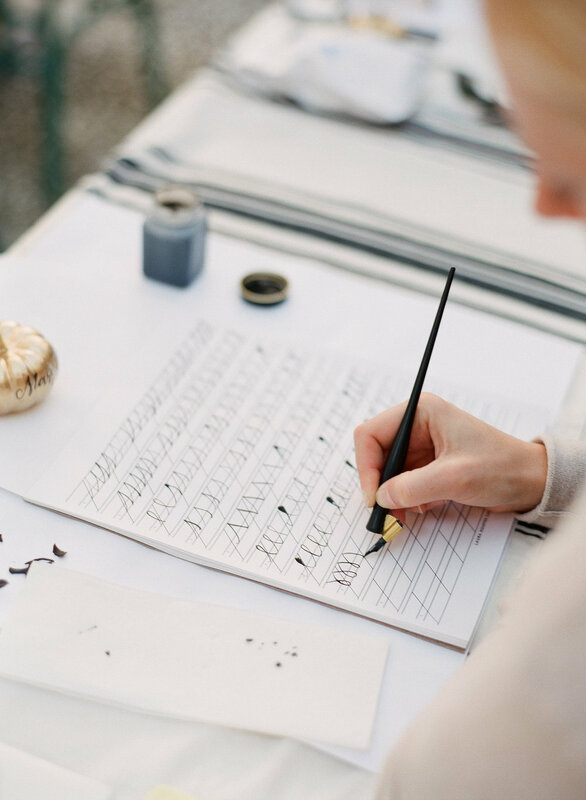 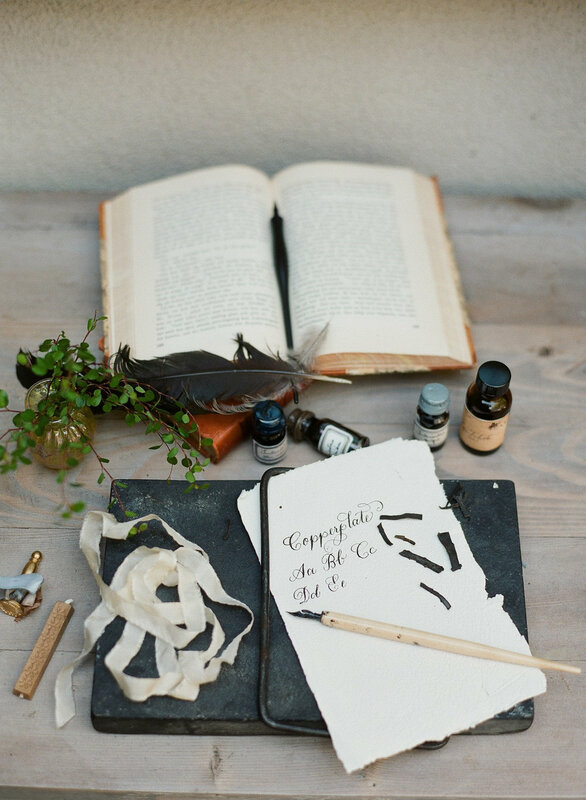 On the most perfect October Saturday last month, I had the fortune of shooting this lovely calligraphy workshop. 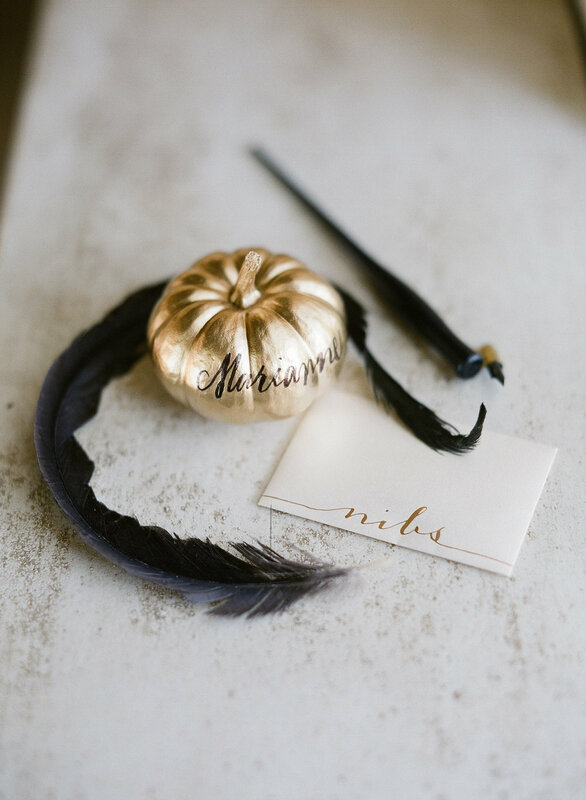 Unique flourishes combined with classic style sums up Laura Hooper's elegant and sought after handwriting, Students arrived to their seats to find an adorable personalized gold pumpkin, notebook, quills & nibs, along with a swoon worthy array of refreshments. 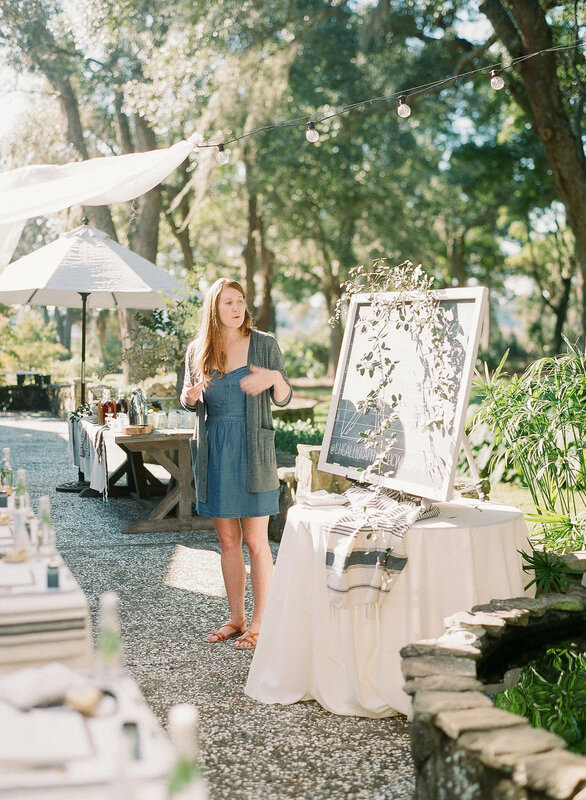 Laura guided the workshop through beginner techniques into the Copperplate alphabet, all while enjoying the sunny waterfront splendor of RiverOaks Charleston. 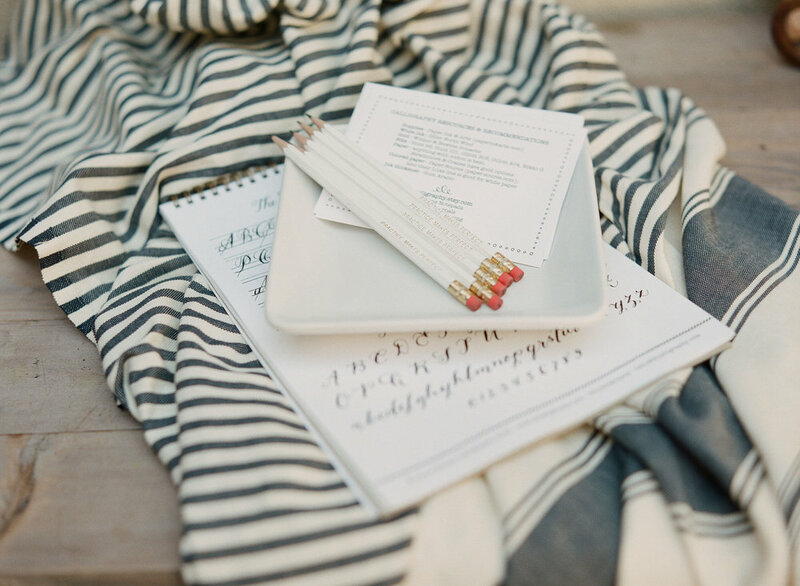 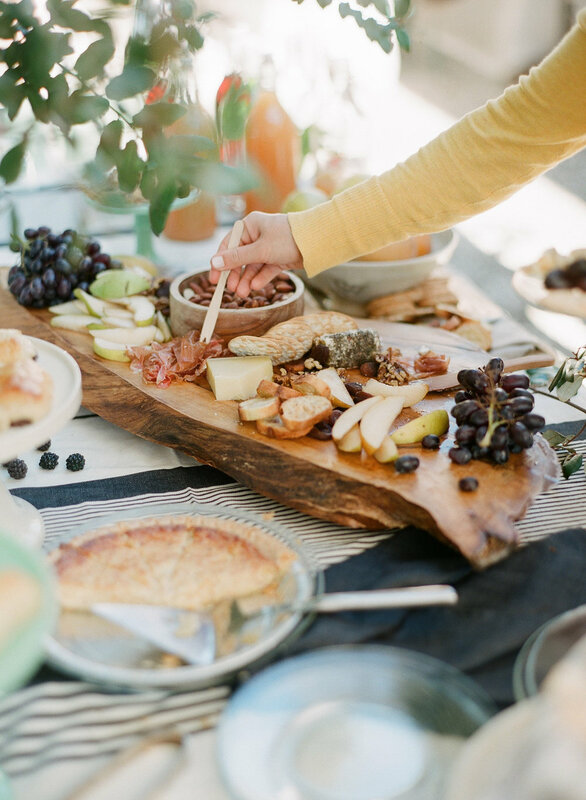 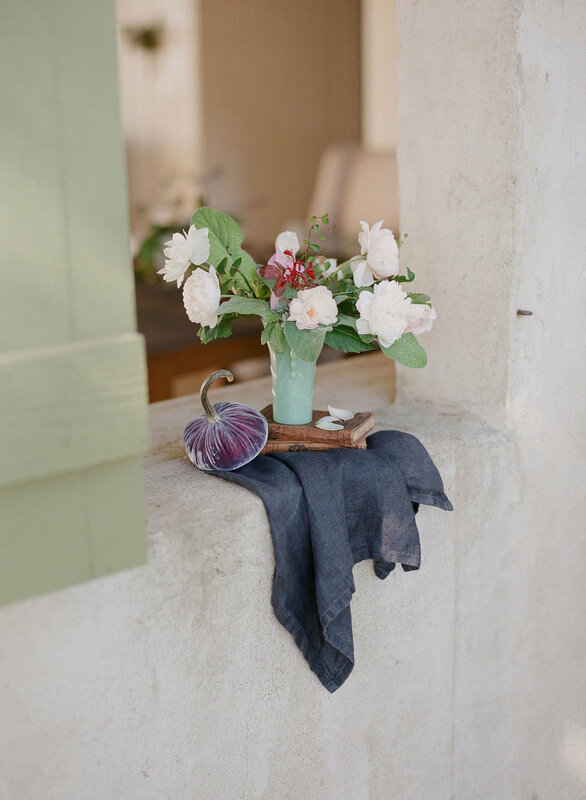 Check out the full feature over at Magnolia Rouge!